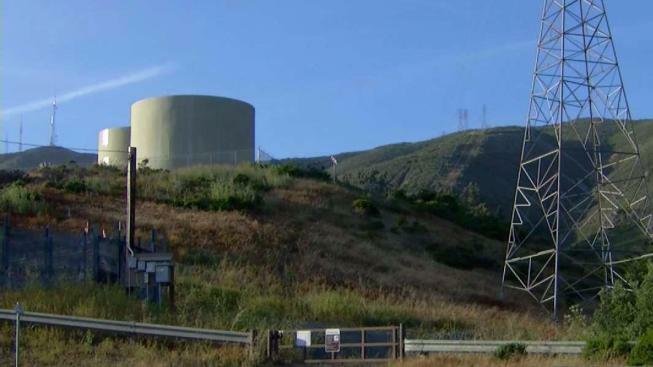 Customers in a South San Francisco neighborhood on Friday were advised not to drink the water because a small storage tank had been "compromised," according to California Water Service officials. The advisory is simply precautionary for some residents in the Sunshine Gardens neighborhood, but — out of an abundance of caution — Cal Water is still asking folks to use bottled water for drinking and cooking. "I got a family email saying don't drink the water, come out and get a case (of water) as soon as I get off of work," resident Cari Olocco said. Authorities say someone climbed onto the tank and attempted to pry open a top hatch, but it's not clear is they were able to get inside. Initial tests conducted Friday found the water to be normal, according to Cal Water. "The initial results for PH, turbidity (and) temperature are all normal, so we feel comfortable with that," Mike Utz from Cal Water said. Just to be safe, additional tests were also undertaken. Those results are expected to be revealed Saturday. If the results are clean, residents will be given the green light to use their water again. The problem was initially discovered Friday morning when officials found a cut lock on a gate leading up to a couple of water tanks, according to Cal Water. They then realized that someone had climbed onto one of the tanks. Cal Water pledged to reimburse any customer who purchased bottled water during the incident. Customers in need can also pick up bottled water from 92 Chestnut Ave. no later than 9 p.m. Friday and as early as 8 a.m. Saturday. Cal Water is investigating the issue with the State Water Resources Control Board's Division of Drinking Water and local law enforcement.